That's Peachy | Award Winning North East UK Fashion, Lifestyle, Beauty Blog: 097. My 200 Followers Giveaway! - NOW CLOSED!! 097. 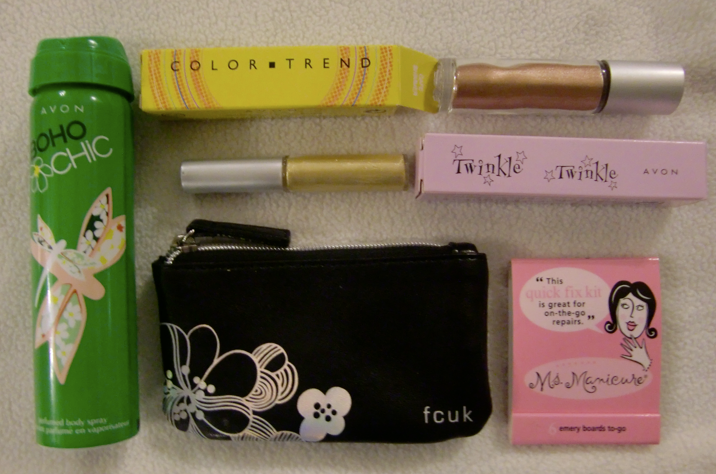 My 200 Followers Giveaway! - NOW CLOSED!! I've been meaning to do a giveaway on my blog for a while now, and when I reached 200 followers today, I knew it was time! This is just to say a big THANK YOU to all of you for following and reading my blog. I haven't been doing this long, and I never dreamed I would have this many people interested in what I have to write. I have decided, that rather than choosing just one winner, I am going to choose FIVE! You must be a follower of this blog to enter my competition. It is open to all of my followers worldwide, old and new! For one entry, please comment on this post telling me a random fact about yourself. (What you write won't affect wether you win or not, it's just something interesting for me to read!) Also, don't forget to leave your email address so that I can contact you if you are a winner. For two entries, you need to be a follower, comment as above and either do a blog post about this competition or post a link in your sidebar including a photo. Don't forget to link me to your blog too! The giveaway will end on Friday 30th April 2010 at 23:59 and I will announce the winners within five days of this closing date on my blog, and also by email. I will use random.org to select my winners. Oh wow, congratulations, youre so generous! Hmmm an interesting fact about me, I don't think I have any! I own a rental property so I am a landlady/landlord...so if my tenants heating isn't working I have to go wrong and get it fixed and sort out boring things like that! Enter Me Please, there are some amazing prizes! Weird fact: I am obsessed with Toy Story! also i followed you on twitter and tweeted about your awesome giveaway! An interesting fact about me is that I'm addicted to pub quizzes and am hopefully going on the weakest link soon!!! Random fact: I feel guilty because I had a hot chocolate before going to the gym today, I feel it cancels it out! I would post on twitter as well however I just dont understand it haha. p.s (IF I do win..I would die for a piece of chocolate from the UK!) 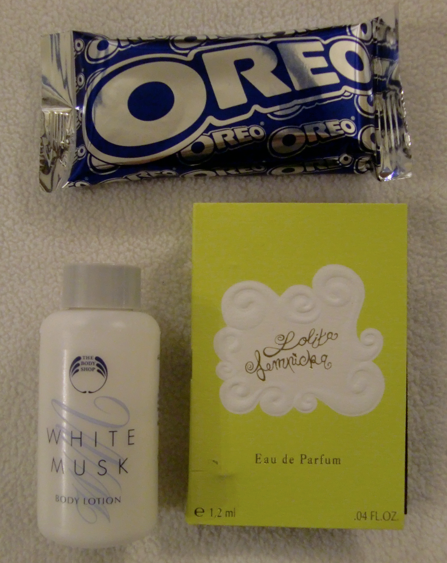 I have Oreos GALORE I can send you haha! Random fact - I could not survive without peanut butter and diet coke on a regular basis. my random fact is; i can knit. like really well. but i never do for some reason. What a lovely giveaway! :) Congrats on the 200 followers as well! ...and I don't have a Twitter account (I know, I should, somedays). one interesting fact about me? ok! much fun with your giveaway!!! My weird fact is... I nearly got ran over by Bob Gedolf at Glastonbury & he didn't say sorry! my arms fall out of socket! Random fact: I am terrified of prawns. WOW! GREAT giveaway my love! Random fact: I have hypermobility, which means all my joints are double-jointed! I'm gonna put this in a link and tweet about it too! Random fact: I hate house lizards! Can't stand the sight of them. and have tweeted about it! Randon Face: I am going to Ecuador for a month in the summer and have raised around £4000 to go! Congrats on reaching 200 - you really deserve it! Hmmm...random fact...I am left handed and have never eaten meat or fish! Enter me please! Random fact: when I was little I had a pet lamb called Penny. Have also posted about this on my blog and put a link in my sidebar! I love giveaways, I'm currently doing one too and it's so exciting. Hmm, a random fact about myself.. I have pyrophobia - a fear of fire and mycrophobia - a fear of mould. Yes, an actual fear of mould. I'm strange like that. Oh wow! Amazing giveaway!! :) Enter me pls! Congratulations on the 200 followers! my boyfriend looks like robert pattinson!! and slightly like morrissey too! PS I am doing a giveaway on my blog as well...you should check it out!! Great giveaway! :) Enter me please. Random fact: If I am not making fun of you, I probably don't like you. wow thats one amazing giveaway !! Random fact? I am addicted to reading cooking books and blogs! Random fact: I have a big tattoo of a phoenix on my right foot...it took 4 of the most painful hours of my life. Hmm.., my random fact is, that I have never been outside of Europe. hi!! thanks for the giveways!! Random Fact; I have a phobia of brass bands, but Ive managed to get it under control more recently than not. random fact: My name is actually Ammié not Eliza, but people spell/say my name wrong so I like to go by my middle name! i love my dog over my family. that sounds so bad. but its true haha. I would like to enter,please! & 1 fact about me is that I'm left handed. hehe! 1) I'm pretty gullable, well people think I am and I'm convinced. A random fact: I have a smily face birthmark (or as I call it "tattoo") on my neck. this is so generous! please enter me! i'm a follower through GFC as Anita Macek. random fact about me.. hmm... i'm afaid of snakes. like, i would rather jump off the cliff than take a look on the snake. A random fact about me...hmmm... I love camping!!!! im a follower hun.. Enter me please..
Random fact: I am allergic to soap! I have to wash my hair upside-down so it doesn't touch my face and I can't wash my face! random fact....i wish i could sing. check my blog sale out. Erm something interesting.... I'm scared of tall buildings like massive chimneys or those huge windmill things!! Lol. Hey Im a follower enter me please! Hello. What a perfect giveaway! Enter me please. I'm a new follower. oh what neat prizes! hmm weird fact about me...i can only wink with my right eye, if i try with my left i look semi retarted. I love this giveaway, all the prizes are GREAT! Joining contests / giveaways is my No.1 hobby haha! Hi i'm Jennifer and i'm your follower :) I love dolphins and giraffes! Congrats on your followers and thanks for this lovely giveaway! Thank you for this chance, you're so generous! An interesting fact about me, is i hate Lady bugs xd, They freak me out just like any other bug. When the fly in the house i like scream and have some one get it away form me lol. Random fact: I love cats but I'm allergic to them. my cat acts like a dog, think she was a dog in a past life! hehe. Oh wait - I just remembered us talking on twitter about my piercings! I have another one now! I got my lip pierced! Hope I'm one of the winners. 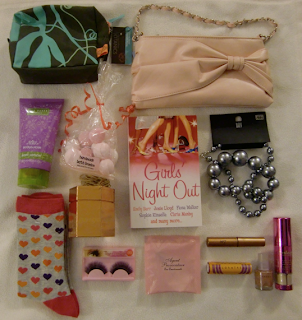 I own an online shop which sells accessories and other girly stuff. Ok, random fact, I would quite like my own cookery show, but the thought of being on tv petrifys me! Olá, eu quero participar, sou a Dudis de Potugal. Um facto sobre mim, nunca saí de Portugal. Random fact: I don't like eggs. Great giveaways! You have an awesome blog too! I'd like to join the contest. random fact about me: I'm a registered nurse but as of the meantime I'm doing voluntary work in the hospital. One random fact about me is ..
Im a very fast learner. Thanks again for the great giveaway!! i'm a follower and my name is willz. 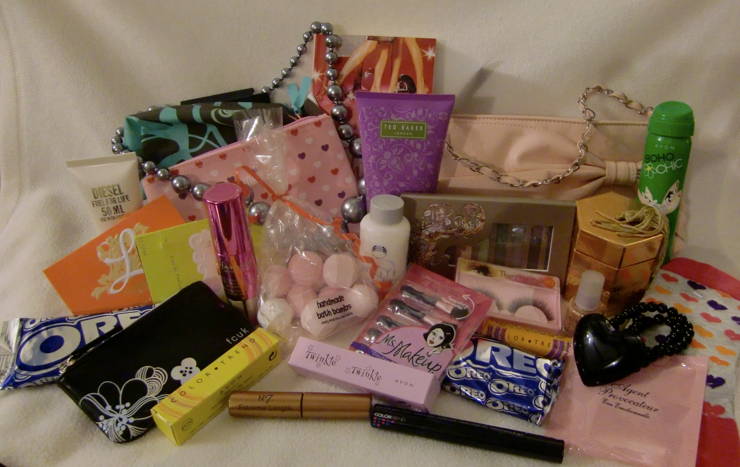 Thanks so much for this generouus giveaway :), please enter me!! Congratulations! Please enter me too! I'm a follower. Something random about me: I love reading and I'm an active member at BookMooch.com book swap site (my BM id is dova113). Hi lovely, enter me please! Random fact: I'm dreadfully afraid of butterflies! If one flies near me I really freak out. Random fact: I collect pretty much anything and everything having to do with wolves and penguins. Hey doll! Thank you for the wonderful opportunity and CONGRATS!!! Please enter me! Random fact: I was a preemie baby, weighing 3 pounds and some ounces. Something random about me: I used to be on a national ski team at the age of 12, but it didn't work out in the end. Random Fact: hmmm..... i have a paper round! One thing about me ... I'm a begoniaphile! Loving this giveaway, enter me! The randomest thing about me is that I'm allergic to chocolate cake, but not chocolate lol weird I know! Hi there! I'm a new follower, and I would love to be added to this giveaway! I follow you through GFC: ANSTAH. Random fact: I am addicted to chapstick. A random fact...I love ♥ pickled jalapeno peppers. 1. im a certified Chocoholic. 2. im a Coffee Overdose. hehehe.. can't live without it. 3. im a Frustrated Singer. 3. im a Basketball Fanatic. 6. im an Animal Lover. 7. im Sporty (Badminton Addict). i love to read read read.. I'm going through a woodworking course in college. I enjoy photography and would love to own a bakery. Thank you so much for making a giveaway that's easy and actually somewhat fun to enter for once! Random, eh... I own a black and white rabbit named Remus, but everyone calls him Toto. Random enough? Random fact about me: I´m 26 years old! wooo :) please enter me! amazing givveaway! :) Enter me please. Random Fact: my thumb is double jointed! i forgot to add my random fact!! random fact: i am very lucky; whatever i wish for, comes true. I worry about a lot and have panic attacks!. i am a newbie blogger and i am crazy about green stuffs :) what's weird is that i rarely use it as my nail polish. my office desk is so green as well as my room. people complain sometimes lol.. the only other colors they see is my nail polish collection. hmmm random fact>> I have a serious phobia of cheese singles (the floppy cheese in the packets). My random fact is... the older I get the more scared of heights I am... and, I've only just worked out how to follow the blog, because I'm dim... Lol. I don't have a blog to add you on but will twitter about your competition.. does that count as 2 entries? Wow, this is an amazing giveaway! Great prizes up for grabs!! I'm a gothic metal singer and a translator. hmmm something interesting about me... i have a daughter and son 4 days less a year apart! I'm a mother of three who loves free. I finally got around to making that blog post! something random about me is that i just recently got addicted to blogging! so far, i love it! My random fact is: I have a phobia of lifts. im such an Orange Lover, not the fruit but the Color! hi! I'm new a follower and new to the beauty blogging world. Random Fact - I hate the color purple. Your contest is linked in my sidebar (bottom right). I can play the French Horn! 8-) Thanks for the giveaway! Hi, I'm new to blogger and a new follower! Thanks for this giveaway!!! !I'm a follower....Please Enter me!!!! I'm Part Filipino, Chinese and Spanish....and I love Photography & Travelling!!!! Ummm enter me! I'm a new follower from Spain! Tweeted http://twitter.com/invictoria/status/12686006800 and follow you.